Consumer prices grow above the target level. The National Bank decided to raise the discount rate from December 15, 2017 from 13.5% to 14.5% over high inflation rates, which exceed the forecast figures. "The rate of consumer price inflation declined over the past two months but more slowly than the National Bank has expected. In November 2017, it was at 13.6% but significantly deviated from the target level by the end of the year. In addition, after the previous decision on the discount rate and the publication of the latest macroeconomic forecasts by the NBU the inflation risks grew that can restrain a decrease in inflation next year," the central banks said in a release on Thursday, 14 December. 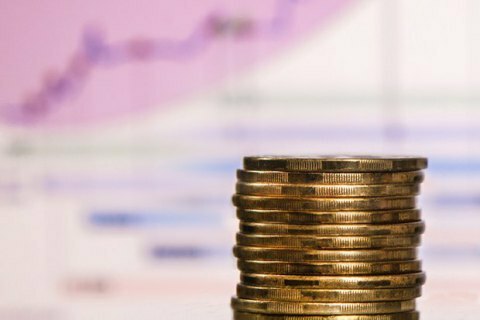 The regulator says that expenditures in the state budget for 2018 it higher than expected, the risks of the next deferral of the fourth tranche of the IMF, the growth in prices of raw products, and labor migration to other countries contributed to inflation risks. The NBU may again raise its discount rate as early as January 2018 in case inflationary risks remain. In the midst of the crisis in early 2015, NBU's discount rate reached a maximum value of 30%. Since September 2015, the National Bank has consistently lowered it but stopped in the summer of 2017. In late October, the regulator raised the rate for the first time in a long time. Discount rate is a monetary tool establishing a benchmark on the cost of attracted and placed monetary resources for commercial banks.